Amino acids are organic compounds which have a considerable meaning for our organism, and primarily for our muscles. Therefore, this is so important to reach for amino acid preparations of appropriate quality. Certainly, not everyone of us is aware of the present market offer of such preparations and therefore the vast majority of us decide to first do some research on the Internet in search of reliable rankings. Many of them fulfill the most important parameter of our trust or at least make such an impression. The ranking of best amino acids, which you will find below decidedly deserves special attention. The preparations mentioned in it constitute an absolute cutting edge of what the market has to offer in the category of amino acid products. What is an indisputable merit (and advantage over others) is the focus on only four preparation so that not to leave you with the feeling of unlimited choice, which as we know often is problematic – especially in the case of amino acids, which are the components of incredibly diverse preparations. Before we present the four best amino acid sources on the market, we introduce a few words of description – what they are and why they are so important. Amino acids are chemical compounds, both the ones that the organism is able to produce by itself and the ones that it cannot synthesize, constituting the essence of life. It is not by chance, that they are called “the organism’s bricks”, as they fulfill a range of very important and essential functions. Amino acids are so varied that they can affect both whole systems and particular cell organelles. Their task is not only to increase anabolism and decrease catabolism – the most recognizable processes among physically active people – but also the functions of transport, regeneration, cleansing, transmission, energy and producing metabolically active compounds. 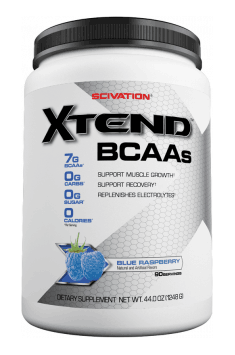 BCAA is an English acronym, meaning branched-chain amino acids – a trio, which works out not only among sportsmen of strength disciplines, but also among people practicing endurance sports. They find application during the periods of building muscle mass, reducing fatty tissue, improving general efficiency of the organism as well as accelerating and improving regeneration processes. Valine, leucine and isoleucine constitute a huge resource of muscle tissue and they have strong scientific evidence confirming their precise effects. 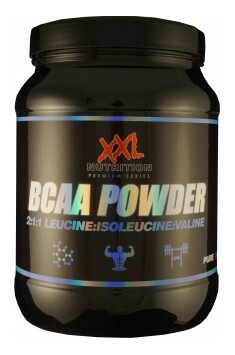 BCAA Powder are branched-chain amino acids of highest quality. Their main functions are limiting breakdown and intensifying protein regeneration, improving nitric balance, and fat and carbohydrate metabolism regulation. Apart from this, the preparation helps to protect muscles from catabolism, supports anabolism, increases muscle strength and accelerates regeneration. 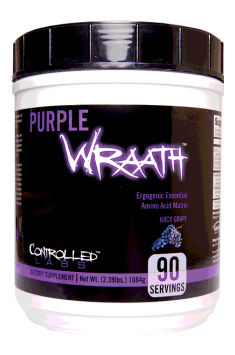 Purple Wrath is a product containing a mixture of essential amino acids (EAA), branched-chain amino acids (BCAA) and compounds increasing effort capacity of the organism (strength, stamina, etc.) Apart from this, accelerating regeneration and increasing muscle mass belong to its most important functions. Xtend of the company Scivation is a complex preparation containing a range of amino acids essential to proper muscle work and protection in reduction processes. Thanks to them, muscle regeneration after intensive training sessions is accelerated and the pace of protein synthesis is increased. Additionally, one of the XTEND’s ingredients is citrulline malate, which stimulates oxygenic energy production by muscle during effort! 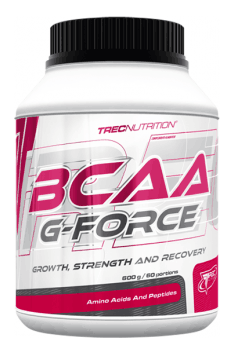 BCAA G-FORCE is a preparation containing optimal branched-chain amino acids proportions: L-Leucine, L-Valine and L-Isoleucine and also a high dose of micronized L-Glutamine. These components intensify anabolic processes (building) and enable fast growth of pure muscle mass. BCAA and L-glutamine exhibit exceptionally strong anticatabolic effect, thanks to which they considerably accelerate muscle regeneration. The preparation increases strength and efficiency during hard and long-lasting exercise and prevents the symptoms of exhaustion and overtraining.